This challenge offers a demanding mountaineering excursion over two days based in arguably the most stunning valley in the Lake District. It includes eight summits set amidst the majestic backdrop of Wastwater and Wasdale Head and offers spectacular vistas from some of the quieter routes in the Central Lakeland Fells. The Wasdale Challenge has been purpose-designed by the Activus Outdoors team; who are sensitive to the environmental issues surrounding the National 3 Peaks event. It has been structured so as to minimise environmental impact on an already over-burdened valley; whereby the challenge is undertaken almost entirely on foot with optional rail transfer from Oxenholme Station and also offers a tangible benefit to the local community with income for accommodation providers based in Wasdale. 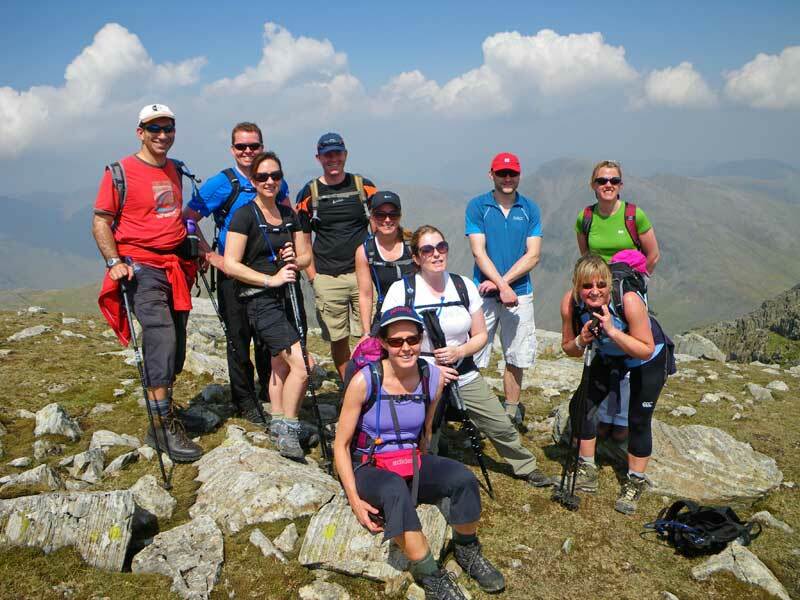 This challenge is a natural step up and progression from our one day challenges and offers an inspiring contrast to our popular 3 Peaks event which includes a mandatory 10 hours transit time between the respective peaks. Best done in the warmer summer months with maximum daylight hours it is ideally suited for small groups of similar fitness or alternatively, it can also be structured as a larger scale corporate team building and/or charity fundraising event. This event is demanding and places significant strain on the body, often walking on rough ground with steep ascents and descents over a two day timeframe: It is therefore not suitable for groups with a wide range of physical fitness and is ideally suited to those involved in regular exercise and/or sports activities with a good level of fitness. Alternatively, it may also be possible for persons of average fitness to participate; however, in such cases we would recommend regular cardio-vascular exercise for a minimum 4-6 month period to build up stamina prior to the event. As part of your preparation training for a challenge of this nature we can organise a training weekend in the Lake District. This is especially beneficial for those who may already have a reasonable level of fitness, but lack previous mountain walking experience. Upon arrival in the Lake District transfer to your accommodation in Wasdale followed by a challenge briefing (usually after your evening meal). Ideally, to minimise environmental impact, we recommend that groups travel together by rail to Oxenholme Station and we can organise return transfers at start/end of the challenge. Leg 3: Kirkfell to Great Gable descending to the stretcher box above Styhead Tarn and picking up the path back to Wasdale and your finish point at the Wasdale Head Inn. Transfer to Oxenholme Station at end of challenge, arriving by 7.00pm. Alternatively, we can transfer you after breakfast the following day arriving by 10.00am after a much deserved celebration night in Wasdale. Price is based on hostel accommodation (dinner, bed and breakfast) or guest house (bed and breakfast) subject to availability on specified dates for group size 8. However, we can provide specific costings for larger groups staying at either the Wasdale Head Inn or Brackenclose on receipt of your booking request. The dates on which we intend to run this challenge are shown below. However, we may also be able to offer this event during weekdays on alternative dates - please advise your preferred dates when you forward your booking request. Groups of friends or colleagues who share a similar level of fitness and an enthusiasm for the great outdoors. This challenge requires stamina and is demanding in terms of a number of ascents and descents along the route. It should not be undertaken by those who are not used to exercise and those who have not done some preparation training beforehand.